There are different software Bitcoin wallets that aim to give the most convenient and safest way to store bitcoins. One of these is Blockchain.info that functions both as a software Bitcoin wallet and a block explorer service. Find out if this software wallet suits you. As the most visited Bitcoin-related site as of this writing, Blockchain.info is a user-friendly wallet. This wallet, which was originally a PiUk-Blockchain-Browser, also aims to record double spending and currency statistics. Blockchain.info does not store your coins in its system but rather on your browser. The copy of your wallet will not be accessed or used for it does not have your password. This can benefit you to keep your account safe. The usual users of this wallet are geeks and first timers. This is because it is easy to use with a simple search box wherein you can type your addresses. 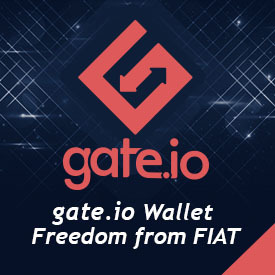 The software wallet is also free for anyone interested to join. What can this Bitcoin wallet do? This wallet has a password wherein you are only allowed up to five failed log in attempts. If you fail to access your account after five attempts, you would need to wait for four hours to be able to try again. Multi-factor authentication is also possible, such as SMS, Google authenticator, e-mail verification, and Yubikey. Moreover, it stores a backup where you can get your account from any device. In order to have a backup, the blockchain downloads a special code each time you log in. The wallet also has hardware with an intrusion protection and packet inspection. Blockchain.info mobile app is available for Android users to send and receive bitcoins as well as browse the blockchain. After you have tried satoshi mining and satoshi exchange, specifically Bitcoin exchange, it is crucial that the wallet that you have chosen will make sure that your account is safe from virtual theft or viruses. The coins you got may be stolen any time if you have the wrong wallet. All wallets have a downside, but you should also be aware of the effects each has. Blockchain.info has proven its advantages compared with other software wallets. Now, you should know its disadvantages. Even with its popularity, this wallet received complaints such as questionable mixing service, security issues, and hacked accounts. Users also reported about receiving malicious TOR exit codes and they experienced delays on updates. Users even suggested that this wallet should have an upgrade where it can allow multi-sig addresses. This is because a lot of other software wallets offer that. While others also mentioned about having an easy backup in order to transport their accounts to other software wallet. The users feel that this wallet is falling behind and is starting to get worried. These problems were already noted by the system and will do their best to make sure that it will be fixed and improved. The aim of this wallet is to make sure it can provide its services to other users with ease.